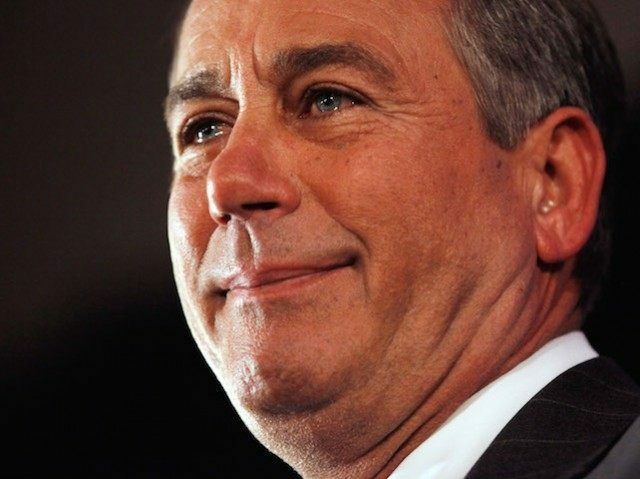 Rep. Mo Brooks (R-AL) acknowledged on Breitbart News Sunday that since no candidate has a clear pathway to becoming the next Speaker of the House of Representatives, John Boehner could remain Speaker through January 2017. The major hurdle in respect to getting someone of the caliber of Jeff Sessions as a Majority Leader in the United States Senate or as a Speaker in the House of Representatives is we don’t have enough votes. The American people have not elected enough representatives and senators of like mind for someone like Jeff Sessions to be able to become Senate Majority Leader, where he now resides, or someone like Jeff Sessions to become Speaker of the House. Clearly, the majority of the House Republican Conference is liberal and/or establishment. They perceive conservatives and conservative values as an anathema because we tend to do things based on conservative principles, and they tend to do things based on other principles or the desire for money. In the current House Speaker race, Brooks claims that it is a “fifty-fifty chance” that John Boehner will continue in his current role as Speaker of the House until January 2017. Brooks reminded Marlow that Boehner said he would finish up his term if the House fails to elect his successor. Brooks revealed that he might accept the position if it were handed to him, but that he is not inclined to lobby for the position. The speakership is a tough role and should give one plenty of pause before taking it on, Brooks cautioned. The job requires going across the country 150 to 200 nights during the year raising millions of dollars. On top of that, the Speaker spends another 100 days campaigning for other representatives and has his work in D.C. Together, this mandates huge personal sacrifice, always at the expense of one’s own family. Brooks told Marlow he believes the insistent speakership demands are a “major” reason Paul Ryan has not come forward yet as a candidate. Marsha Blackburn from Tennessee, Tom Price from Georgia, Trey Gowdy from South Carolina, Daniel Webster from Florida, and Jim Jordan from Ohio would all be “high quality” leaders, said Brooks. Unfortunately for conservatives, all of them will be “blackballed” by the liberal and establishment arm of the party. Breitbart News Sunday airs on SiriusXM Patriot Radio, Channel 125 at 7-10 pm ET; Breitbart News Saturday airs 10-1 pm ET.